New Launch Open for VIP Booking Now! 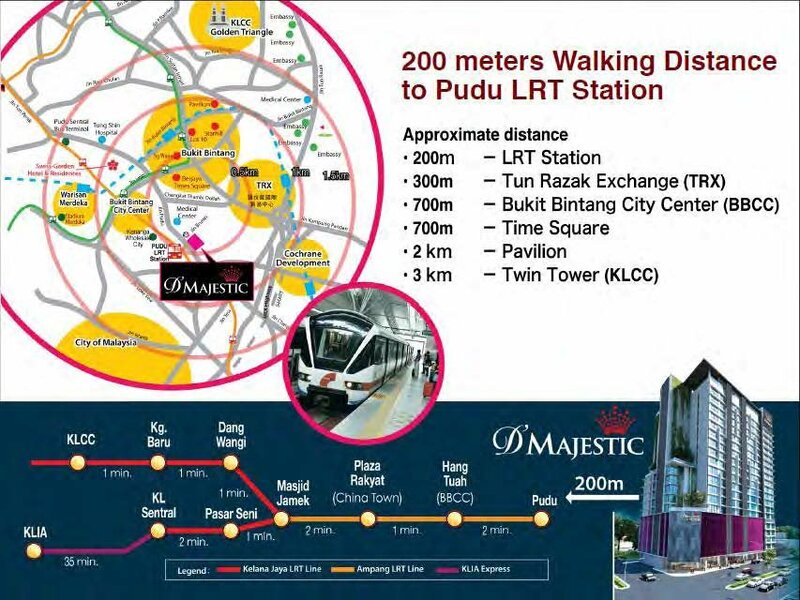 D'Majestic in Pudu KL, is a luxurious boutique 20-storey freehold development developed by renowned PJD Group and designed by awarding architect RGP Architects. 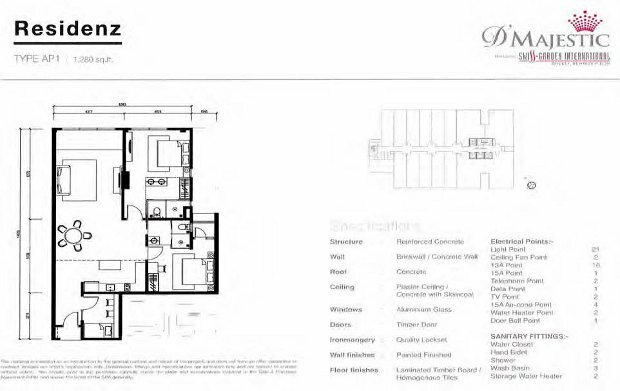 This development features 5-storeys of luxurious hotel "Suites" with 9-storeys of Residenz (serviced residence) above it. Complete with luxurious roof top faciities providiing a fine selection of leisure pursuits, there is never a dull moment in D'Majestic . Among these, is the Sky Lounge to wine and dine your business associates or love ones, keep fit at the Sky Gym, escape from the hustle and bustle of the city beat retreating to the Sauna and Jacuzzi or simply have relaxing dip in the infinity pool while enjoying the exquisite view of the Pudu city skylines. Cochrane Development featuring world's biggest Ikea outlet and Ikano mega shopping mall. 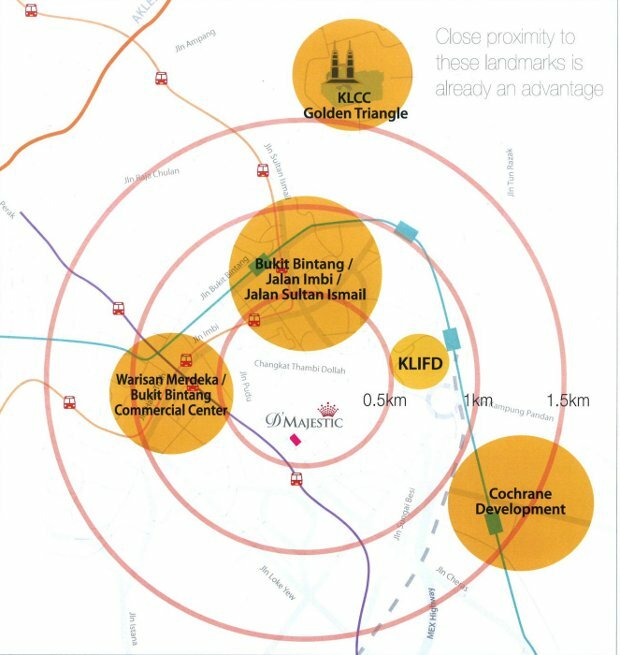 All these prominent developments will be completing by 2017 and will set to transform Pudu Corridor into a new centre of affluent. Designed by an internationally-acclaimed and highly-awarded firm, RSP Architects, D'Majestic is beyond just an iconic facade, it has flowing practical and functional space is carefully incorporated to the design too. 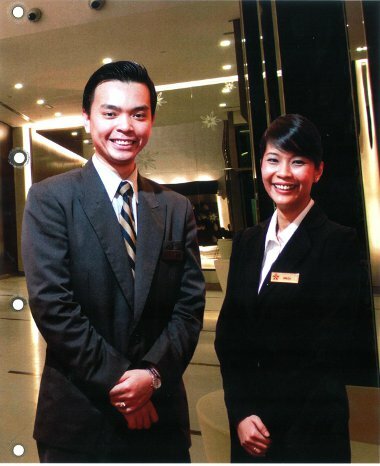 RSP Architects have earned many accolades such as Malaysia's Top Ten Architect, FIABCI and BCI Asia with offices in Malaysia, Singapore, UK, UAE, China, India and Vietnam. 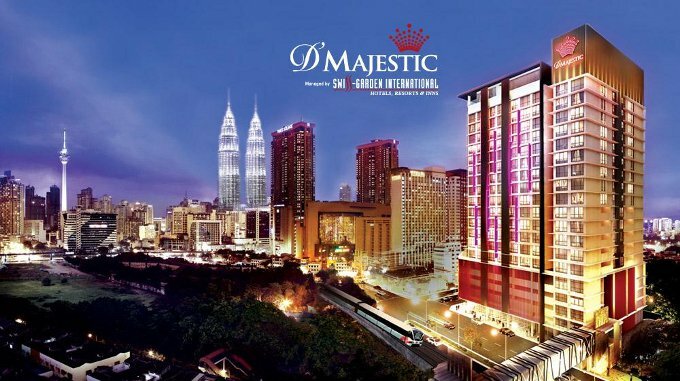 D'Majestic will be managed by Swiss Garden International, Hotels, Resorts and Inns, an established and reputable Malaysia-based hotel management group with experience managing a wide range of holiday accomodation in Malaysia as well as Sydney, Australia. 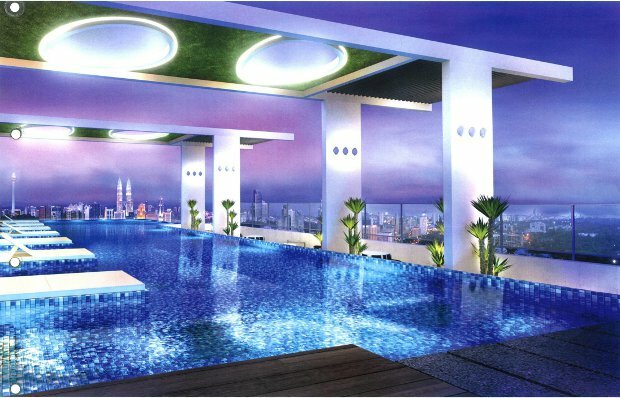 Developed by PJD Group, Malaysia's leading developer of luxury properties all over Malaysia. 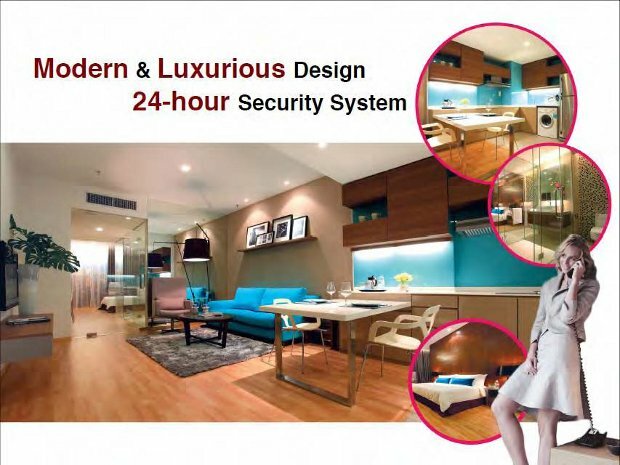 Luxuriously furnished serviced apartments with Rental Guarantee in a Great location with Great Management by Malaysia's Great Developer and Design for just S$3xxK up! "DON"T MISS D'Majestic Pudu KL VIP Preview This 8th June 2013!" Click here to Signup for VIP Updates and Preview NOW! Number of units Total 235 units. 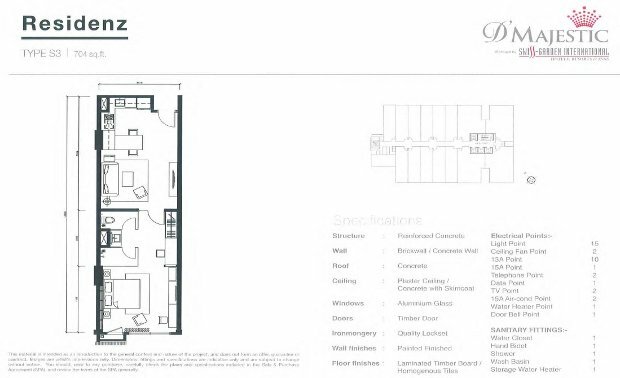 135 units fully furnish luxury condo units consists of 8 different deluxe layout. Furniture & Fixtures : All units come fully furnished. Security: Card access to residential area with CCTVs surveillance. Jacuzzi, Gymnasium, Changing room, BBQ, Rooftop bar. Ground Level - F&B outlets and Retail Kiosks. 15 units per level, total 188 carpark bay, 4 lifts. Price of typical 1 bedroom 704 sqft starts from S$3xxk! For more detail indicative prices please register. "DON"TMISS D'Majestic Pudu KL VIP Preview Launch 8th June 2013!" Register for VIP Preview Now!